The world’s oldest watchmaking brand, Blancpain, recently invited numerous celebrities to gather at a charity gala dinner in Shanghai. 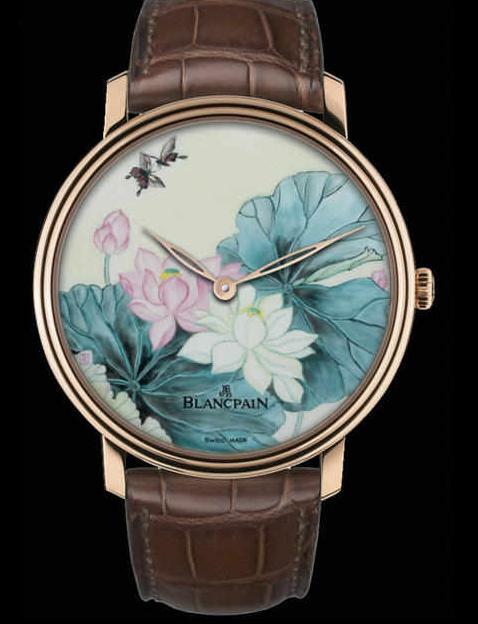 Blancpain executives revealed and auctioned “The Unique”, a unique piece integrating the distinguished craftsmanship of micro-painted enamel. It was all part of a fund raising effort for the renowned China Disabled People's Performing Art Troupe (CDPPAT). 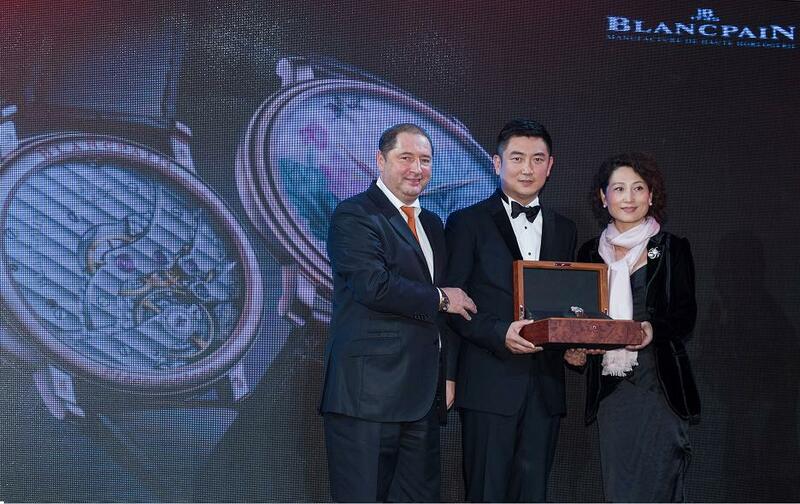 The watch raised RMB 1,100,100 (approximately US$176,700) for the charity. processes. This unique 45mm Villeret piece is in 18K red gold. timeless hue that never fades even after years of use. The patterns and shapes are painted on the white enamel plate by a Blancpain master craftsman through highly magnified glass using immensely delicate brush strokes to reproduce the fine lines of the picture. This is followed by the key steps to ensure the success or failure of the micro-painted enamel - painting and firing. In order to endow the picture with the freehand style of the traditional landscape painting, numerous tests in colour mixing are undertaken to ensure that the colour will not change or fade after firing. Each step in the firing process is high risk, thus extremely close attention is paid to the duration and degree of firing. As the enamel is extremely fragile, it can easily break into small fragments during the firing process. It’s all down to the patience, experience and skill of the craftsman. With only a few talents and elites in this industry, this ancient craft is rare and has become highly precious. At the dinner, the audience and guests were touched by the optimism of the CDPPAT artists. Mr. Liang Wendao, a famous cultural scholar in China, shared his opinion with guests after watching these live performances. He stated, "Performances presented by CDPPAT have shown us the perfect fusion between art and soul. A group that is currently regarded as in need of care and help has presented us with amazing arts with their disabled bodies, inspiring our life through indomitable will and calling out with sincere emotions."